Get Ready For 41st MILO Marathon | JustRunLah! THE 41st season of the National MILO Marathon will formally commence this coming Sunday (July 16) with the first of 15 regional qualifying races to be hosted by Urdaneta City, Pangasinan. The much-awaited Metro Manila qualifier will be on July 30 at the SM Mall of Asia in Pasay while the National Finals will be hosted by Cebu City on December 3. Local organizer Ricky Ballesteros promised another grand spectacle reminiscent of past MILO sporting events hosted by the Queen City of the South. 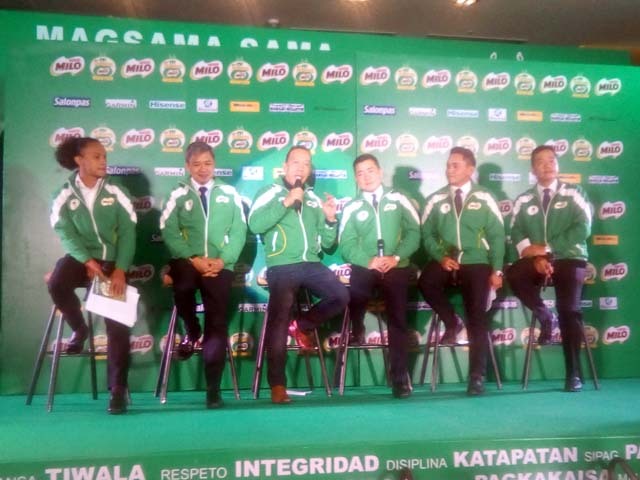 “We have yet to determine a route but we are coordinating with Runrio to make sure it will meet AIMS and IAAF standards,” said Ballesteros during the recent media launch at I’m Hotel in Makati City. Cebu’s very own Mary Joy Tabal will gun for an unprecedented fifth straight MILO Marathon Queen title while Jeson Agravante will defend his MILO King crown against a tough field of Filipino elites and international competitors. Just like in the past, the MILO King and Queen will represent the country in an internal footrace with the Tokyo Marathon their likely destination. This year’s theme is “Magsama-sama, Tumakbo, Matuto”. 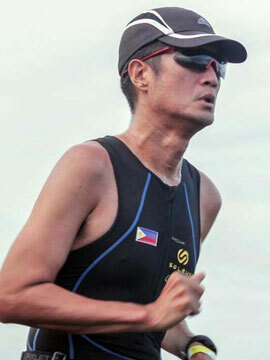 According Nestle Philippines’ Willy de Ocampo, life is a marathon and it teaches lessons along the way. As always, each new season will bring in changes so for 2017 the MILO Marathon will bring back the race to the cities of Laoag (July 23) and Roxas (October 1). Other regional races will be hosted by Angeles (August 6), Tarlac (August 13), Naga (August 27), Lucena (September 3), Lipa (September 10), Tagbilaran (September 24), Iloilo (October 8), General Santos (October 15), Davao (October 22), Butuan (November 12) and Cagayan de Oro (November 19). Another innovation that should sit well with all runners is that prizes will be given out to the best performers based on age categories. This means that not only the elite runners will go home with the prizes but also those who match their running prowess with those of their same age category. Online registration for all races is now ongoing at www.milo.com.ph. Onsite registration is also available at selected branches of Waltermart and Toby’s Sports. The 41st National MILO Marathon is made possible by Salonpas, Garmin, Hisense, Manila Bulletin, Maynilad at Waltermart. The country’s oldest and most prestigious marathon is also endorsed by the Philippine Sports Commission, Philippine Olympic Committee and the Department of Education and sanctioned by the IAAF and AIMS.